Here are six tips for marketing your massage practice using your member discount at Vistaprint! 1. Keep plenty of business cards on-hand. You never know when you will run into a potential client, so keep business cards on hand when you’re out and about! With 500 business cards for just $9.99 it will be easy to keep them stocked. 2. Put some thought into the design. When planning your marketing materials, at the minimum include your name, plus your preferred email and phone number. If you have a website, be sure to include that as well. Some therapists also like to list their hours, services or rates on the back of their business cards. 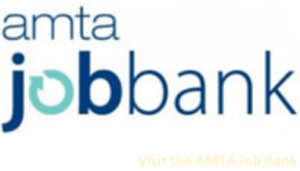 Demonstrate your professionalism by including the AMTA member logo on your card. Members can download it from the AMTA website. Design is important, too! If you don’t have graphic design skills of your own that is OK! You can choose from many template options that Vistaprint offers for free. Pick a design that feels like “you,” but make sure your text is legible. Script fonts can be difficult to read, especially in smaller sizes so keep those as the headlines. 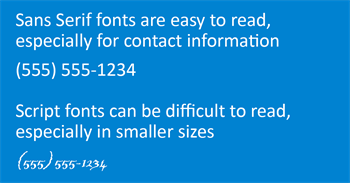 Numbers and emails are easiest to read in a sans-serif font like Arial or Calibri. Don’t forget to proofread, then proofread again. Avoid wasting your money by printing materials with typos or incorrect contact information. 3. Get creative with your referrals. Referrals are an excellent source of business. If you can, reward your clients for their referrals with credit toward products or their next massage. You can print referral postcards or use the reverse of your business card. Make sure you leave a room for your client to put their name so they can receive credit. 4. Educate your clients on the health and wellness benefits of massage. Brochures and postcards are both excellent ways to list your menu of services. You can also use them to educate your clients and potential clients about the benefits of massage! As an AMTA member you have access to a growing body of research that supports the use of massage therapy for health and wellness. Include information in your marketing materials from one of our many Research Roundups or articles about massage for health conditions. 5. Connect with clients through a direct mail campaign. Direct mail is a great way to reach clients and prospects. With Vistaprint, you can design a postcard and upload your mailing list, then they will print and mail the cards out for you, saving you a trip to the post office! Don’t forget about signage for your practice! You can save 20% on banners, posters and more at Vistaprint. If you offer mobile massage, you could print a magnet for the side of your car, and a retractable banner to display at any public events you work at. These are just six of the many ways you can utilize this member discount. The marketing possibilities are endless!